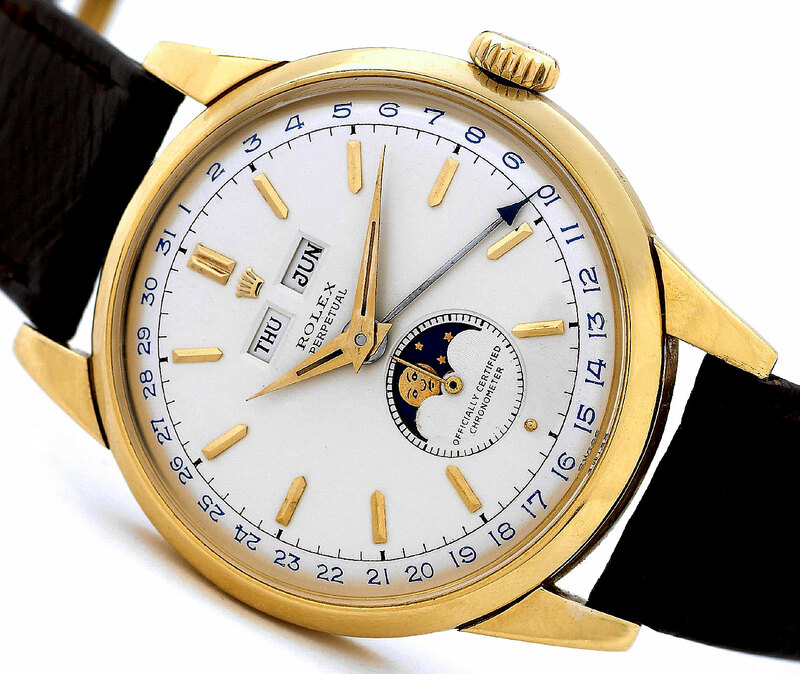 This is an outrageously beautiful yellow gold Rolex Moonphase that was made between 1949 and 1952. This Rolex reference is was dubbed "Padellone" by Italian collectors. "Padellone" translated into English means "Frying Pan." I understand the translation, but referring to such a magnificent masterpiece as "frying pan" is not reasonable, so today I am renaming this watch as "The Magnificent Moonphase." One of the other really cool things about the Rolex Moonphase [Reference 8171] is that even though it was made between 1949 and 1952, it was unusually large at the time at 38mm, which makes it very cool and timeless today. I prepared a stunning higher resolution version which is 2560 x 1440.